Julie and her husband purchased their LTC policy in 2003. Currently, she is in the middle of assisting her parent’s transition into independent/assisted living facilities. Without an LTC policy for themselves, her parents are having to deal with the obstacles of finding affordable quality care and paying for it out of pocket. This personal experience has created empathy in Julie and a real desire to share with clients the value of having a sound financial plan for their extended health and care needs. As one of six children, she grew up in western North Dakota and graduated from Concordia College in Moorhead, MN with double majors in Public School Music and Speech Communication Theatre Art. 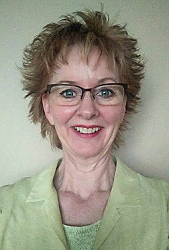 Julie received her Master’s Degree and Specialist’s Degree in Curriculum & Instruction from Mankato State University in 1998 and 2004 respectfully. Over the course of her 23-year teaching career, she taught classroom/vocal music at every grade level. In September 2010, Julie changed career focus and became a Long-Term Care Insurance Specialist. She received her CLTC certificate in October 2011. Since November 2016, Julie has been an agent with GoldenCare, USA. She has a strong desire to continue life-long learning as an individual and a professional. Julie and her husband, Dean, live in the Twin Cities. Outside of work she enjoys biking, decorating, digital photography, growing indoor plants, and traveling.